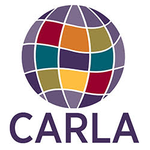 The Eleventh International Conference on Language Teacher Education welcomes proposals for papers and symposia on all aspects of the education and professional development of language teachers. Papers and symposia may report on empirical research, theoretical and conceptual analyses, or practices in language teacher education. What is Language Teacher Education? The field of language teacher education explores research, theory, and practice related to what and how teachers learn, the various contexts in which teacher learning takes place, and the educators who facilitate teacher learning. Language teacher education, therefore, is not about how students learn or how teachers facilitate student learning. Gaining deeper understanding of topics in language teacher education leads to more robust research and informs practice in teacher preparation programs and language classrooms. Many people carry out language teacher education, including college of education faculty, directors of language programs, curriculum coordinators, state and district supervisors, cooperating teachers, and practitioners involved in professional development efforts. Together, this diverse group of language teacher educators contributes to meaningful professional dialogue across languages, levels, and settings. This conference is sponsored by the Center for Advanced Research on Language Acquisition at the University of Minnesota in partnership with the American Association of University Supervisors and Coordinators, the Center for Educational Resources in Culture, Language and Literacy at the University of Arizona, and the Center for Urban Language Teaching and Research at Georgia State University, and with financial support from many units at the University of Minnesota (College of Education and Human Development; College of Liberal Arts Language Center; Graduate School; Department of Curriculum and Instruction; Department of German, Nordic, Slavic, and Dutch; Department of French and Italian; and the Global Programs and Strategy Alliance). For full details of the call for proposals and sample rated submissions, please see the conference website.